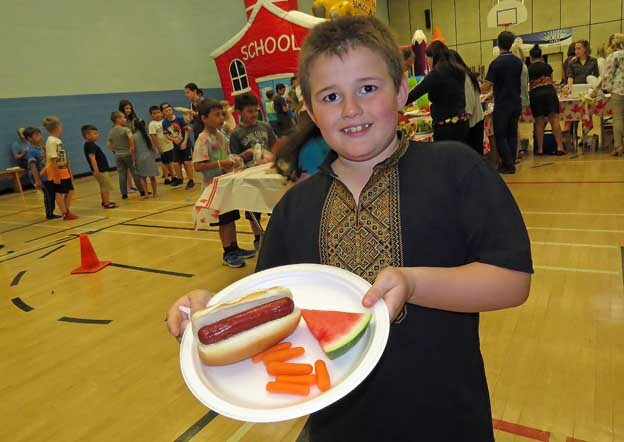 The Family Picnic is a highly anticipated event that’s become a May tradition at IHMS for the past 21 years. 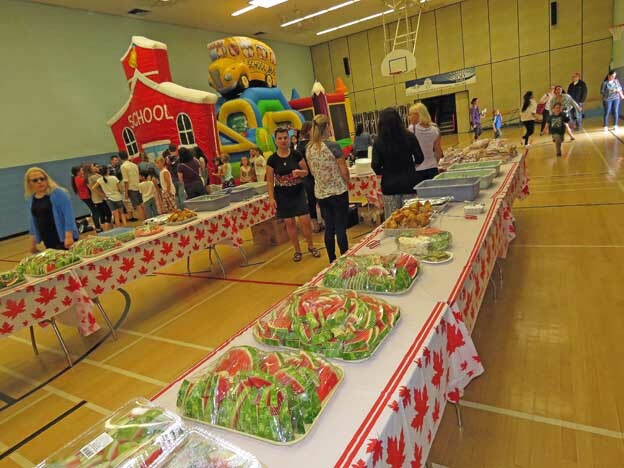 The picnic is not organized by the school – it’s organized by the parents of the school, the Parent’s Guild. 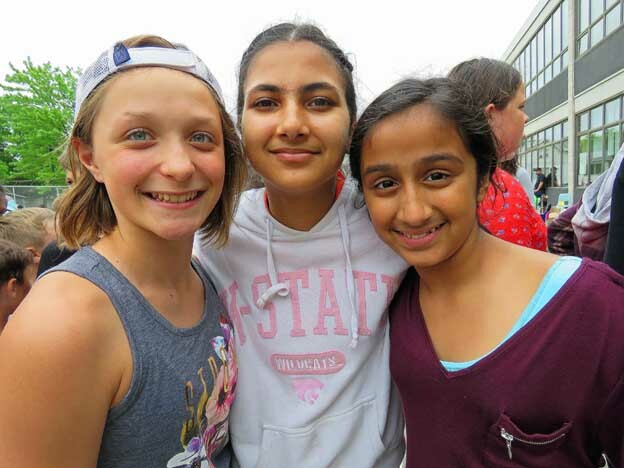 It’s open to all current IHMS students and their family members. 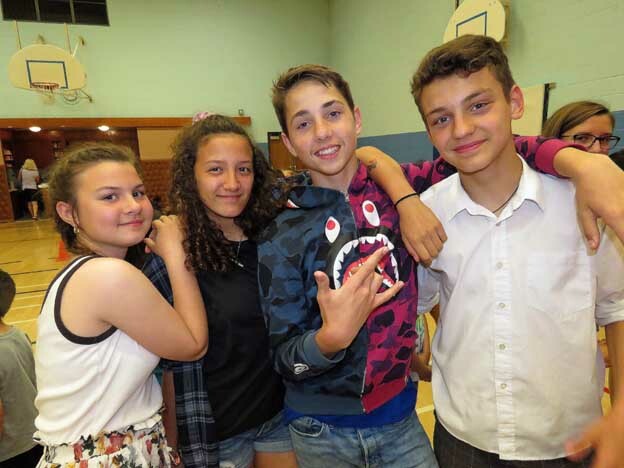 It’s also open to former students who have already graduated and moved on to other schools. 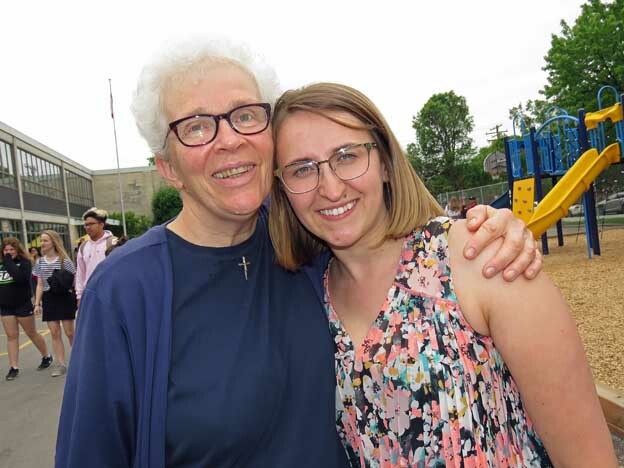 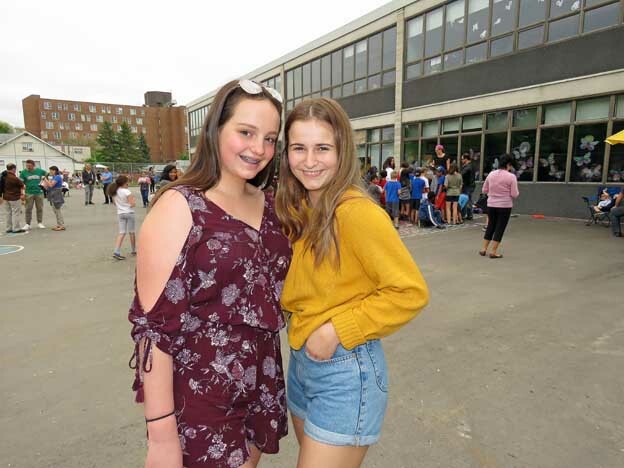 In fact, the picnic is a great way for alumni to revisit the school to reconnect and socialize with old friends in the school community. 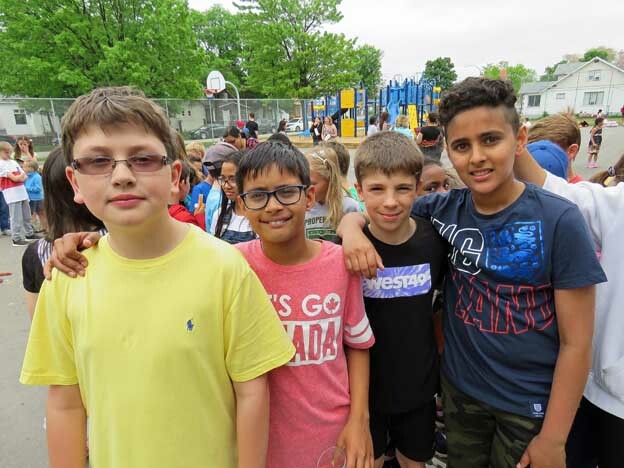 The picnic takes place on the playground at the end of the school day, and unlike most other IHMS events, it has only one purpose – fun! 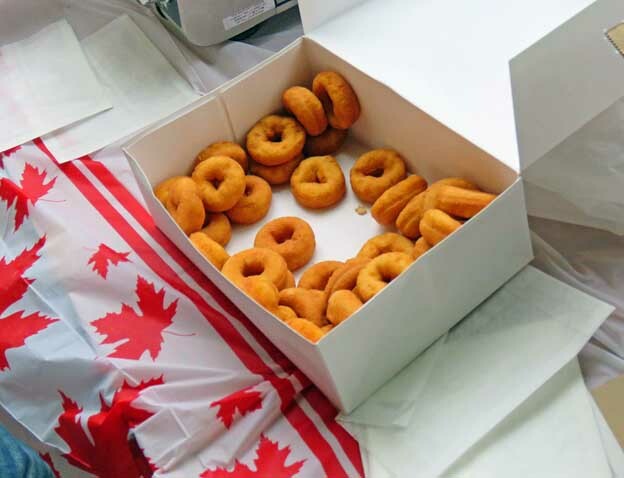 There are no fund raising concerns, no silver collection, and no obligations whatsoever except for one pre-cut, nut free home baking. 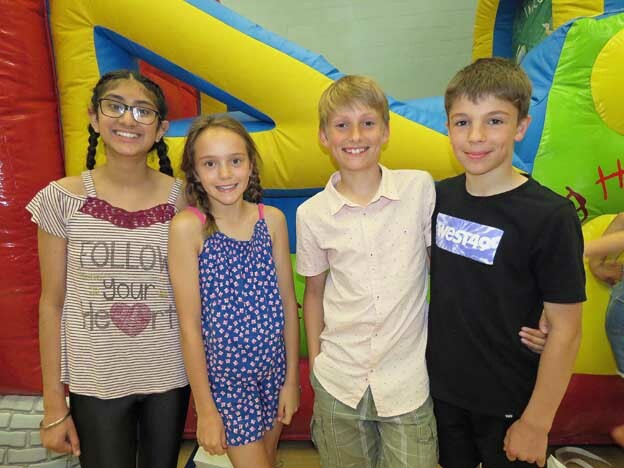 It’s a great way for members of the school community to enjoy each other’s company in a relaxed and informal setting. 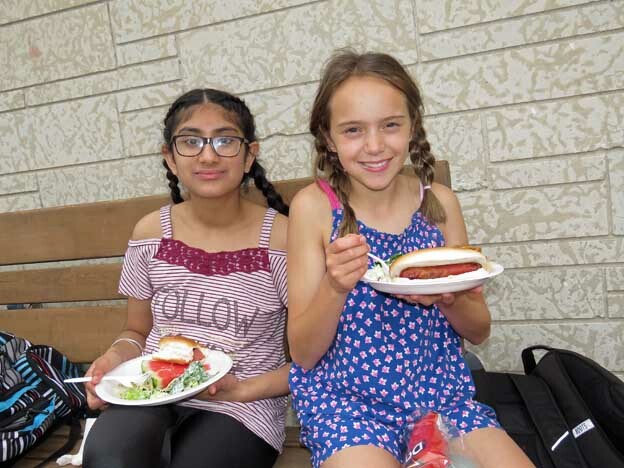 The Family Picnic is open to all IHMS students and their parents, but it’s also open to other members of the IHMS community, including staff members. 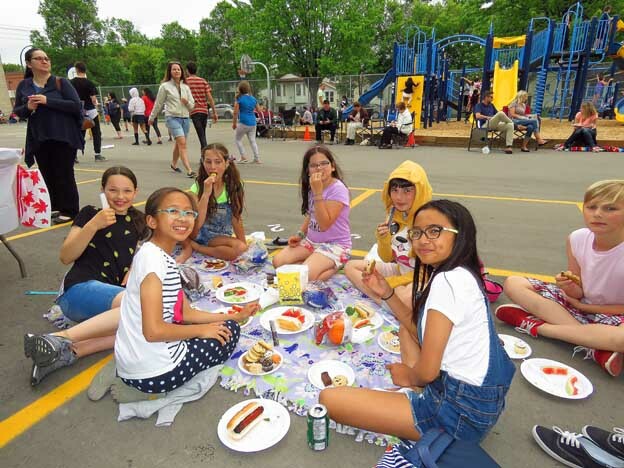 This year’s Family Picnic was scheduled for Thursday, May 31, the first time in three years that it happened in the month of May (the last three picnics took place in June). 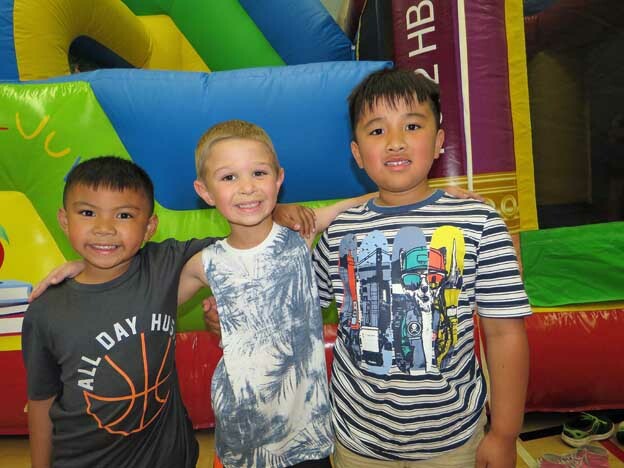 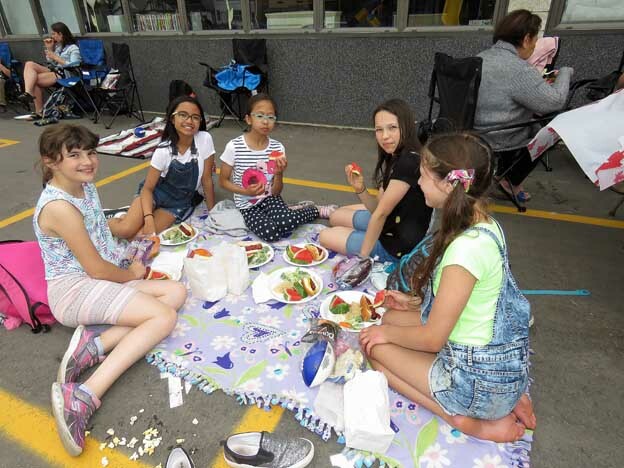 The picnic began right after dismissal and ran until approximately 5:30 p.m. Parents didn’t have to make a special trip to attend the picnic because they had to be at the school to pick up their kids anyway. 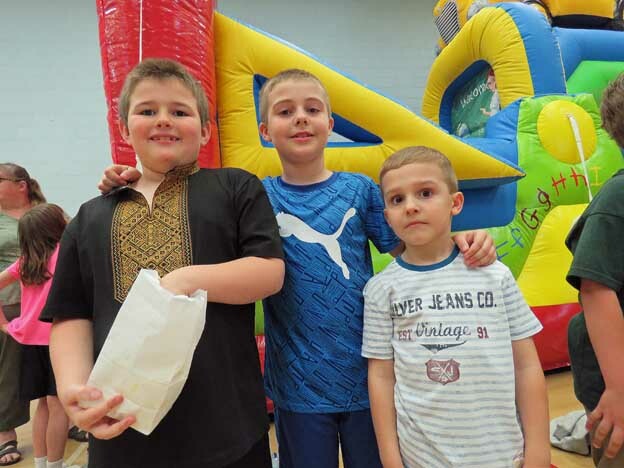 A lot of the parents brought lawn chairs and socialized while their children enjoyed the various activities planned by the organizing committee. 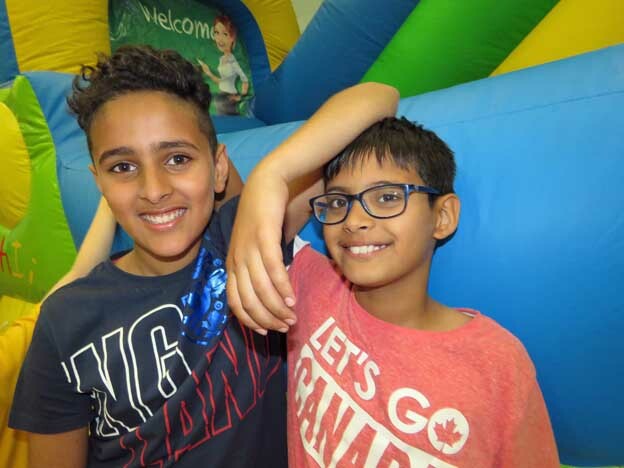 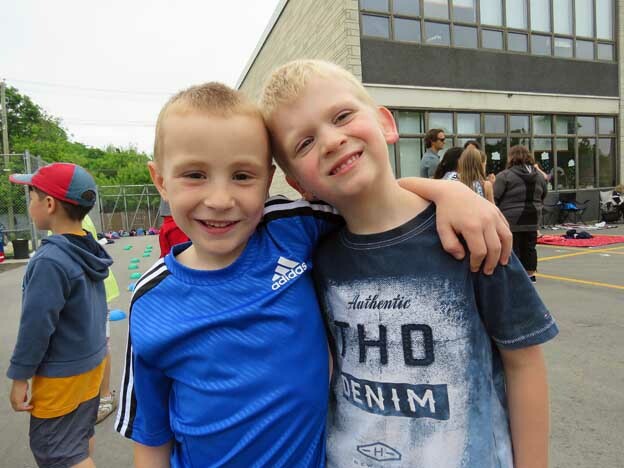 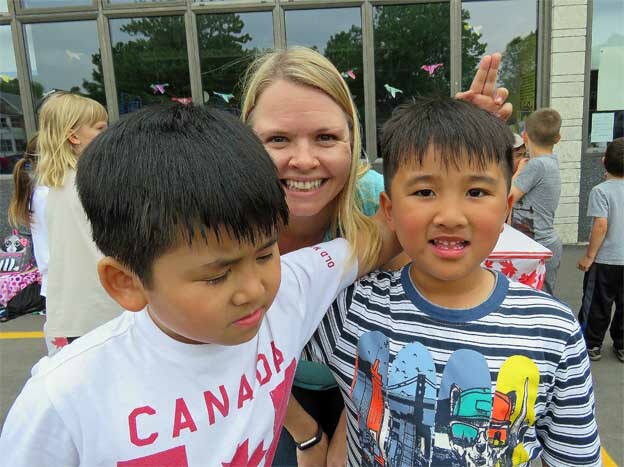 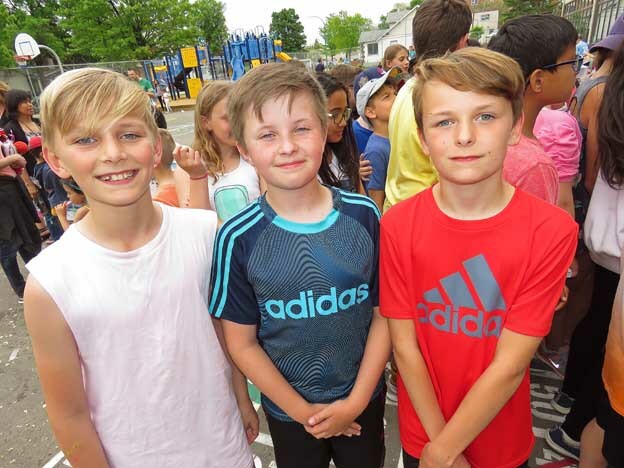 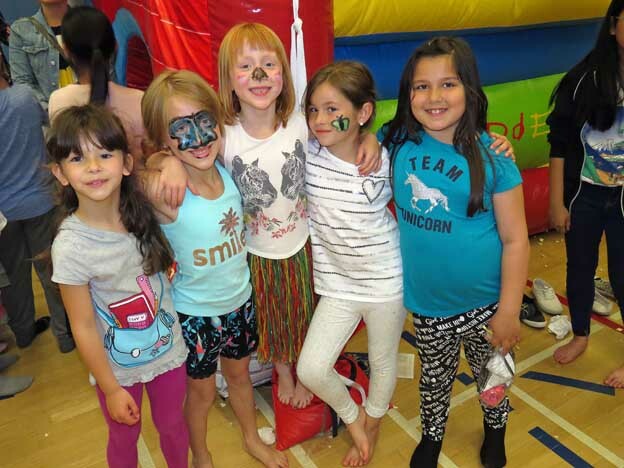 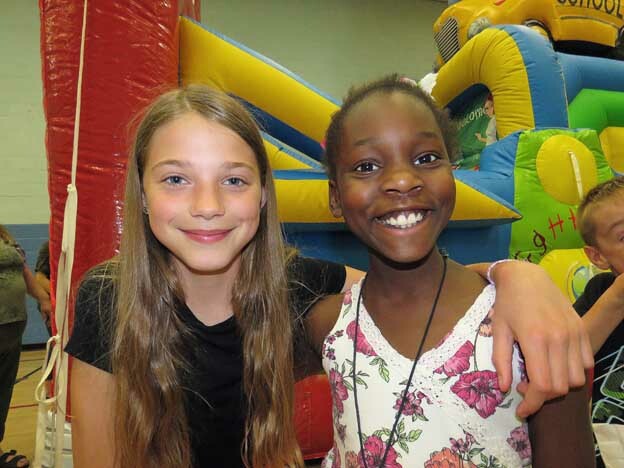 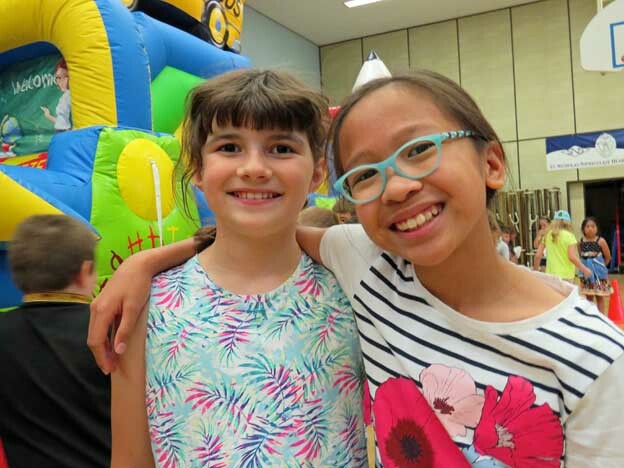 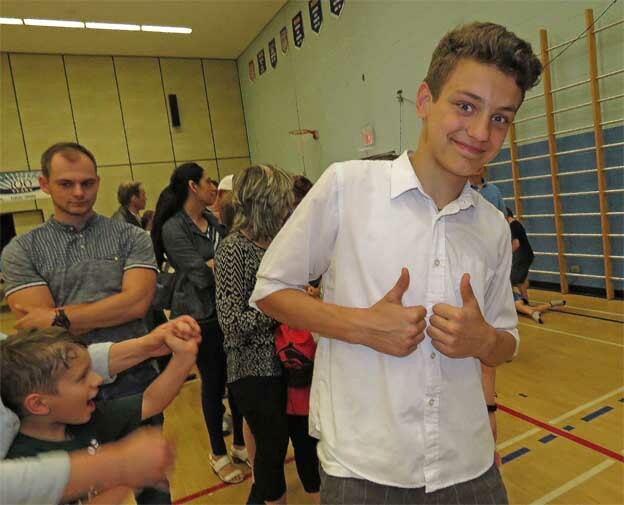 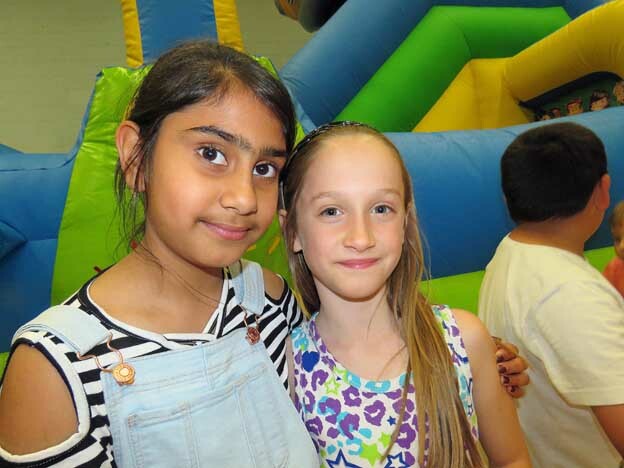 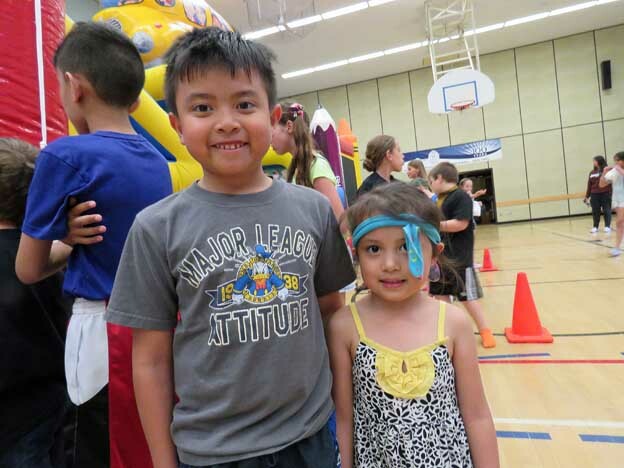 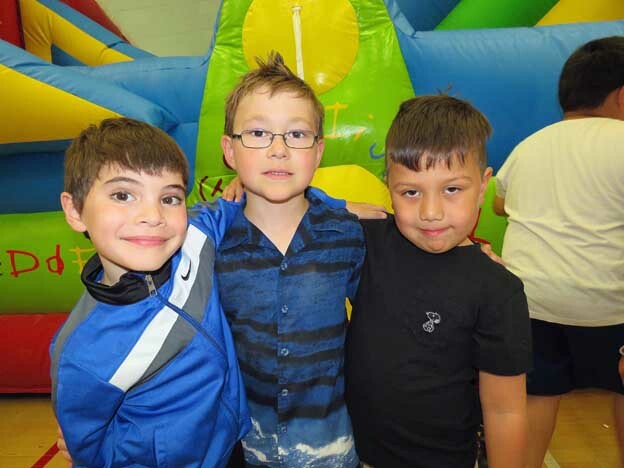 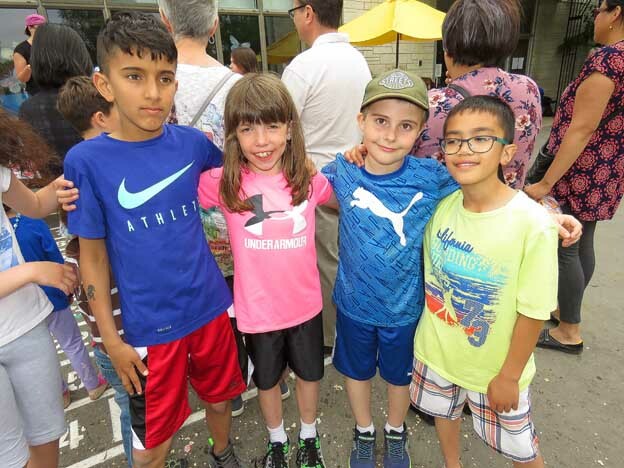 As students played with their friends and parents socialized with other parents, these positive interactions help create an important sense of community within the school. 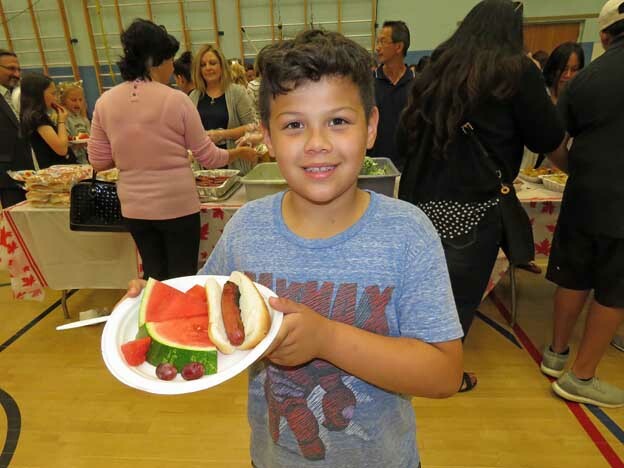 Everything about the Picnic was informal – families came when they could, and stayed as long as they wanted. 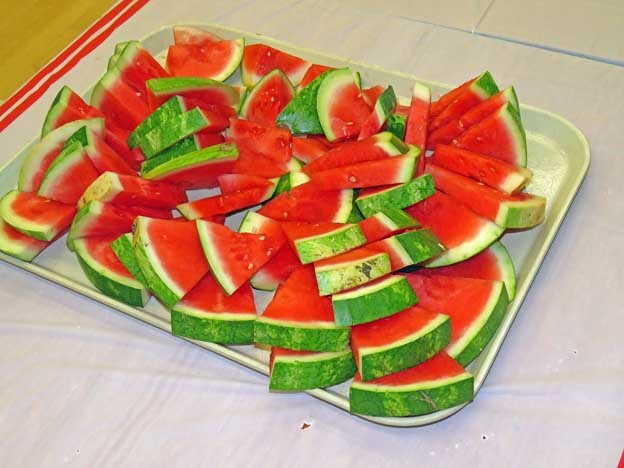 Admission was only one pre-cut home baking per family. 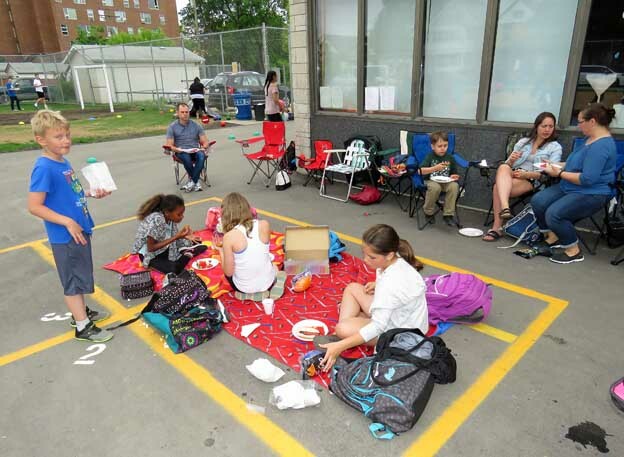 An important factor in the organization of the Family Picnic is the weather. 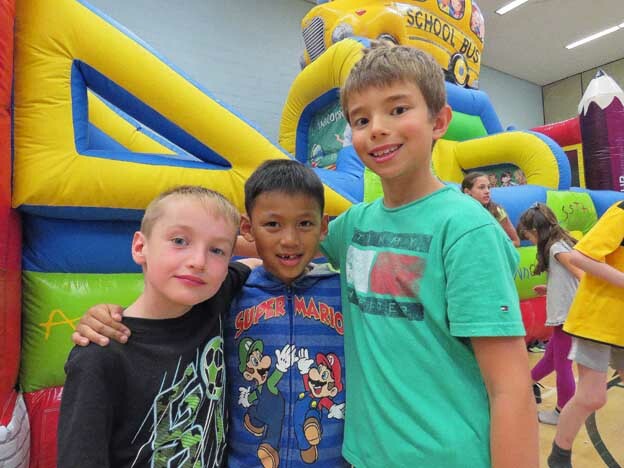 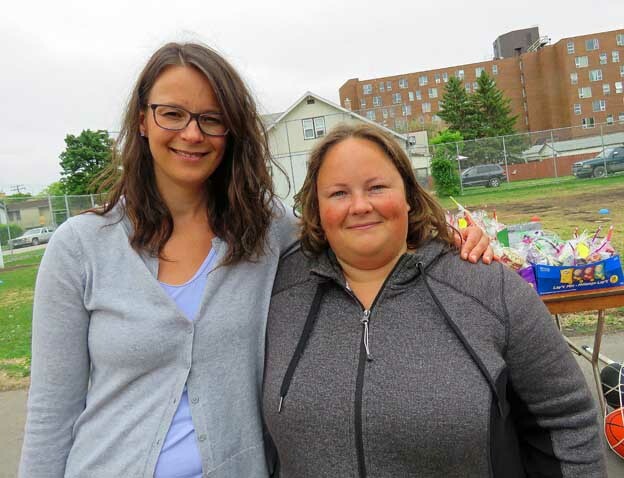 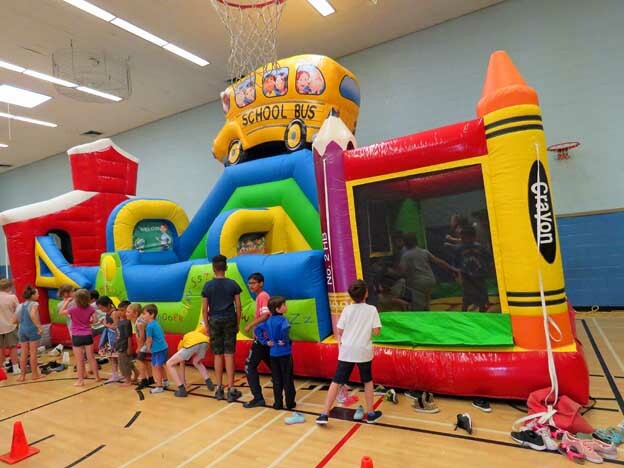 Since the picnic usually takes place outside on the school playground, rain, or even the possibility of rain (which happened last year), can force organizers to move everything from the playground to inside the school gym. 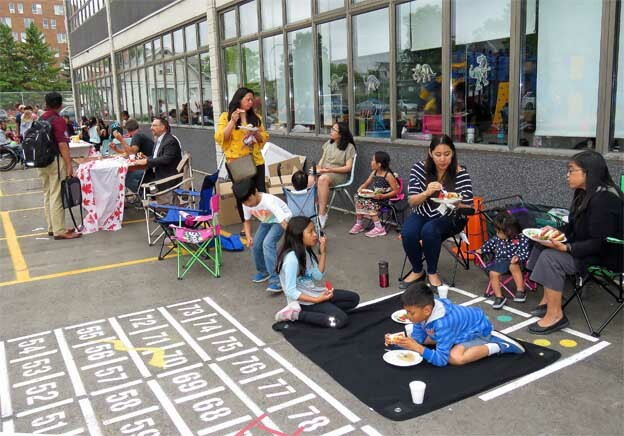 This is exactly what happened again this year – the possibility of rain in the afternoon forced Mr. Arnold Dumlao, the organizer of this year’s Family Picnic, to set up the food table and the main attraction (a big bouncer) in the school gym. 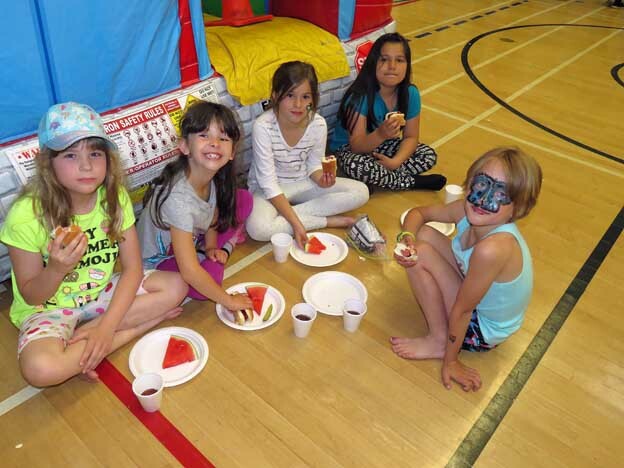 The day of the picnic was also a N.U.T. 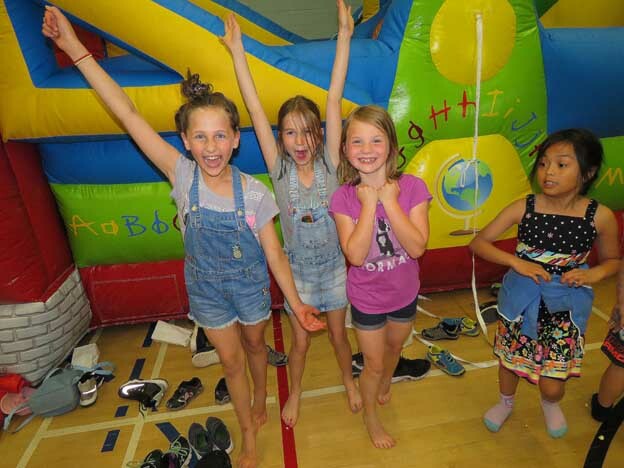 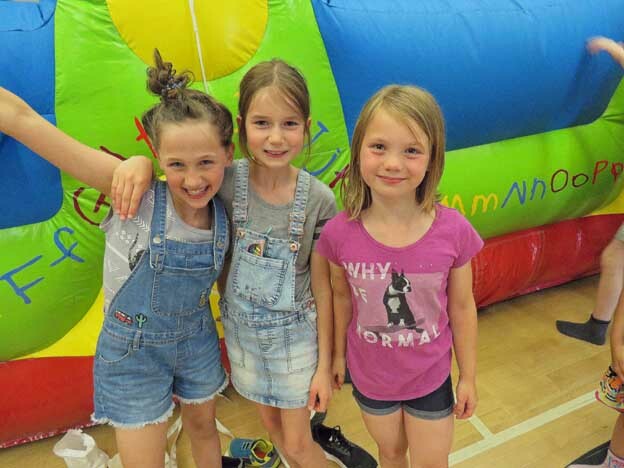 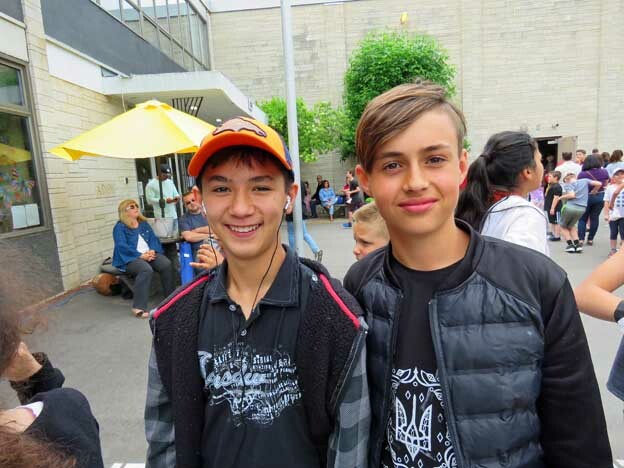 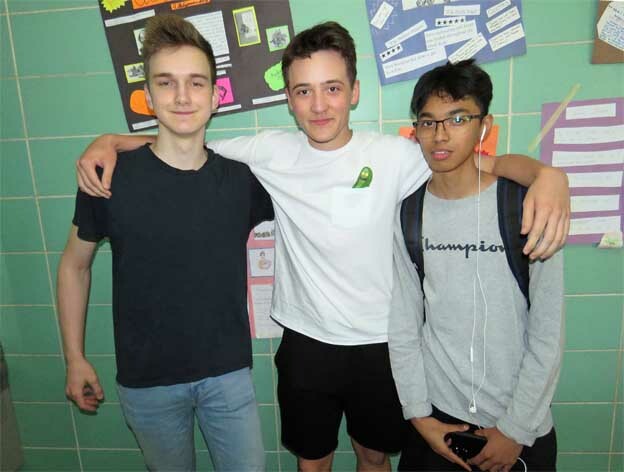 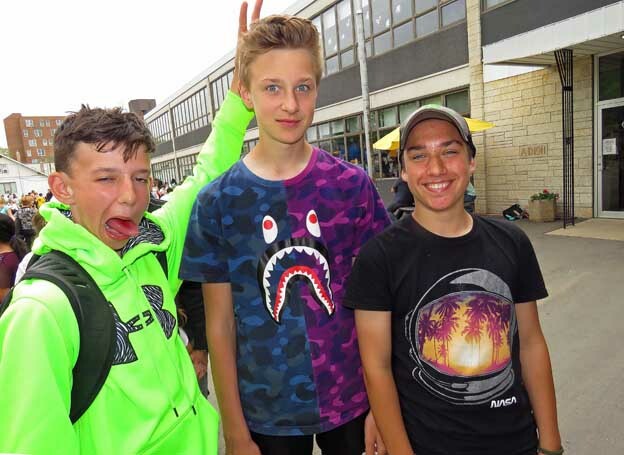 day, and students were encouraged to dress in comfortable and colourful summer wear. 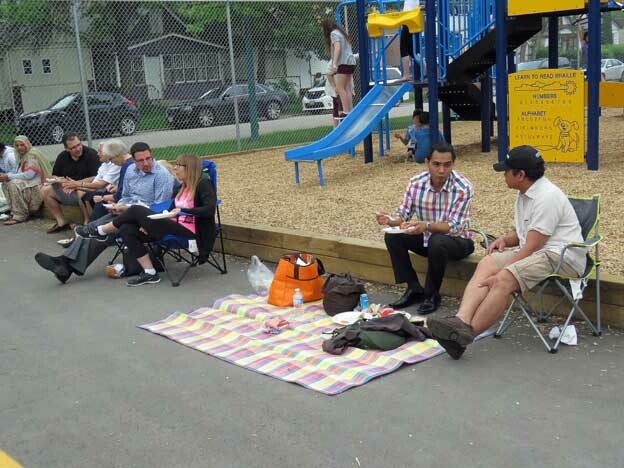 This was a great idea because the weather was mainly cloudy and about 24 degrees Celsius – a pleasant day for a picnic. 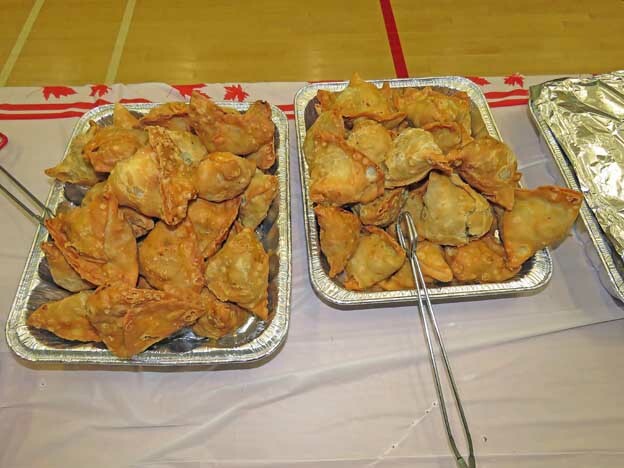 Everyone then lined up for the food table, which had a delicious assortment of homemade food. 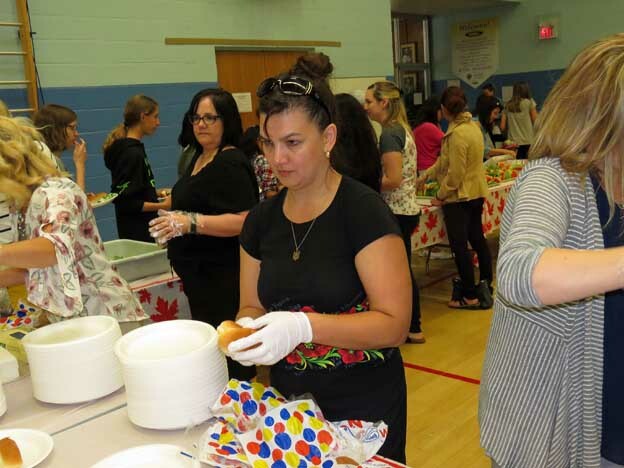 The line was long, but moved quickly thanks to parent volunteers serving the food. 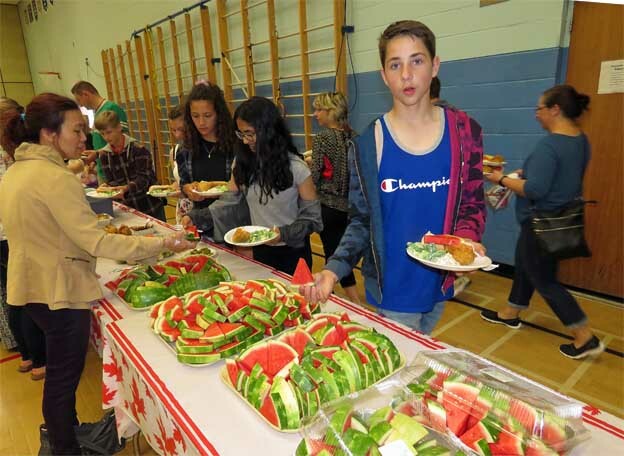 In addition to barbecued hotdogs, there were salads, freshly cut vegetables, and various other delicious homemade foods. 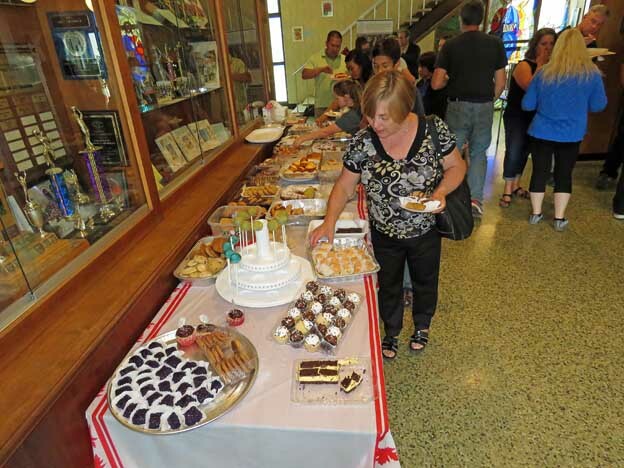 A dessert table was set up nearby with the pre-cut home baking that parents brought as admission. 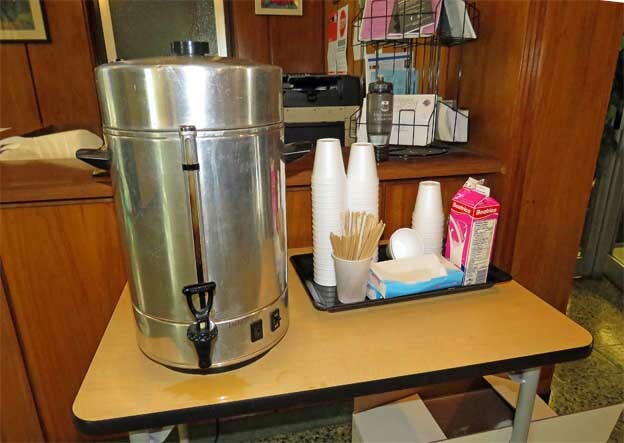 Coffee, orange juice, and water were also readily available for anyone who wanted something to drink. 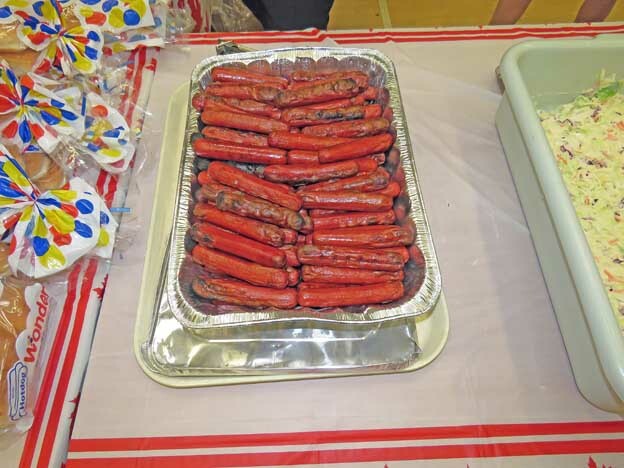 Hotdogs were the main source of protein at the Annual Family Picnic. 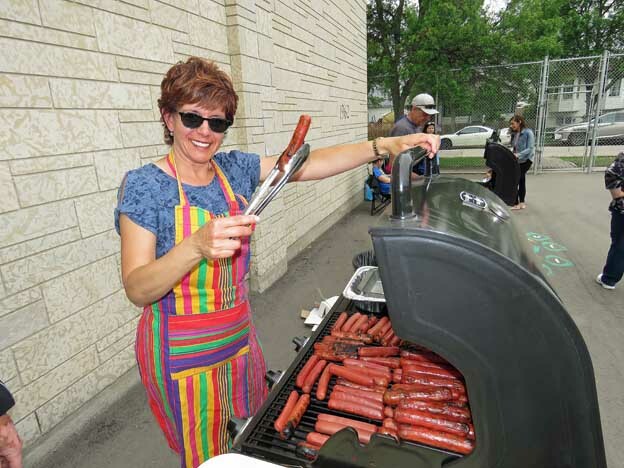 They’re cheap and easy to BBQ. 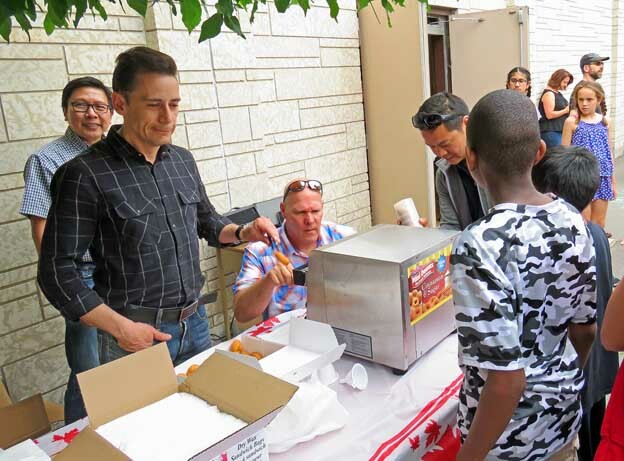 However, not everyone enjoys eating hotdogs, so Mr. Dumlao ordered an alternative source of protein, fried chicken pieces (as can be seen in the preceding group of photos). 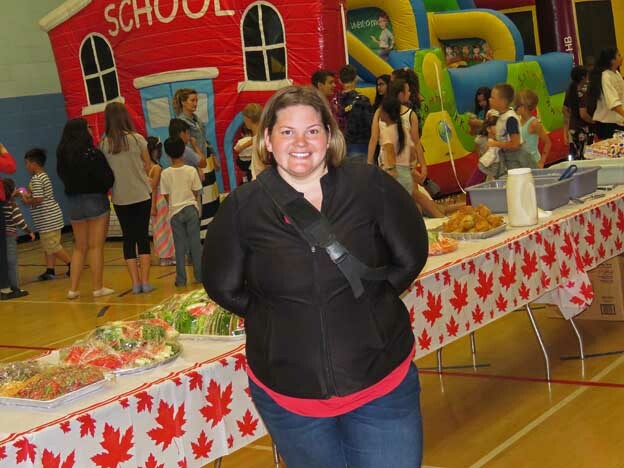 As in the past few years, there was one main attraction at the Family Picnic – an inflatable bouncer. 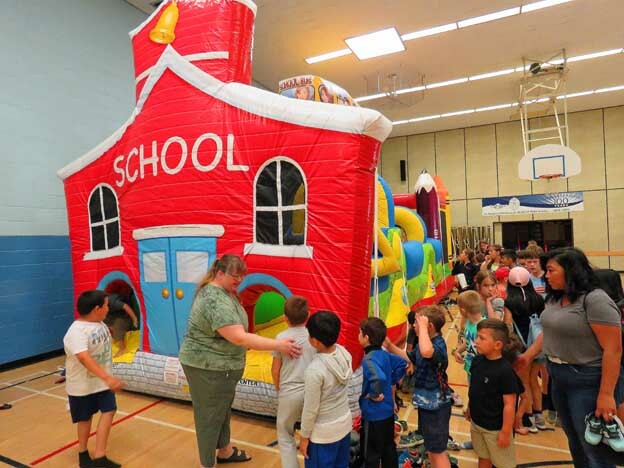 This was a large air-filled structure that children crawled up on one side (after removing their shoes), in order to bounce or slide down the other side. 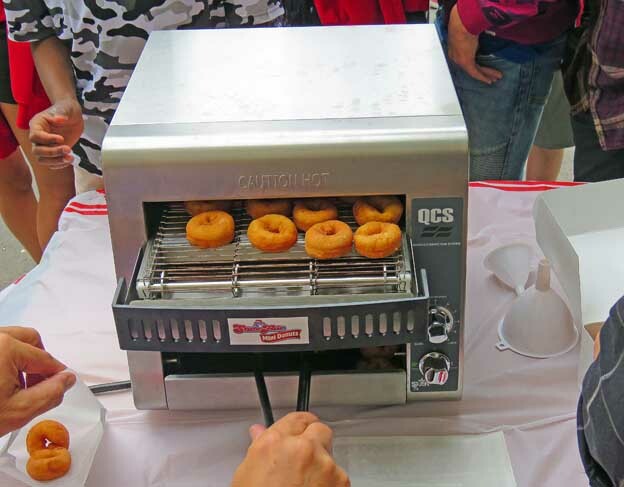 Because it was so popular, most kids had to wait in line for a few minutes to try it out. 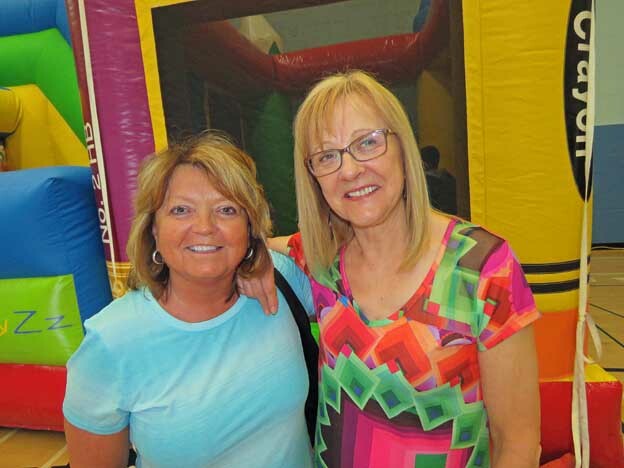 The main attraction at the Family Picnic was an inflatable “bouncer” that was set up in the gym. 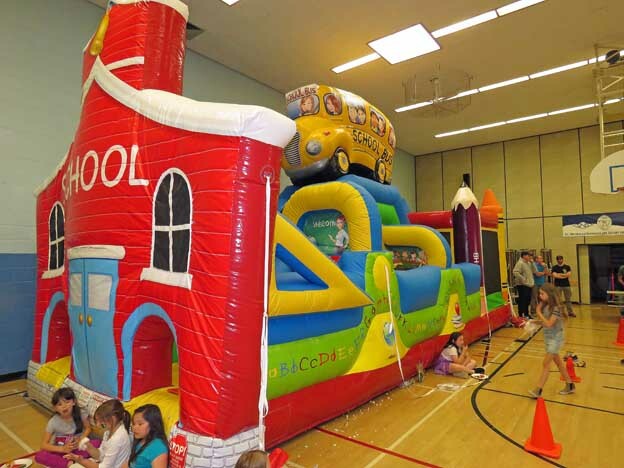 This year’s bouncer was similar in style to the type rented by the organizers last year. 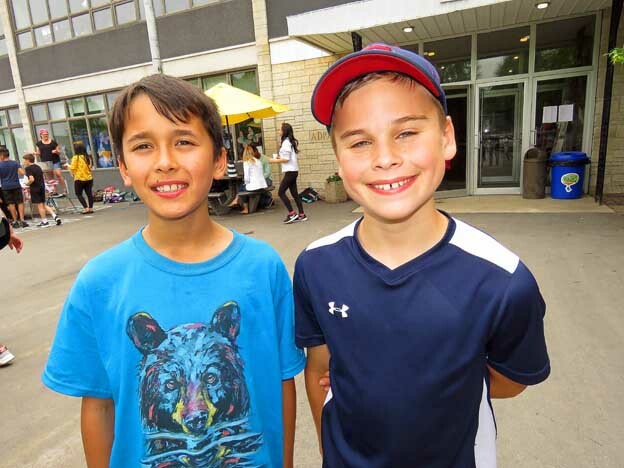 Parent and student volunteers managed to keep the picnic running smoothly. 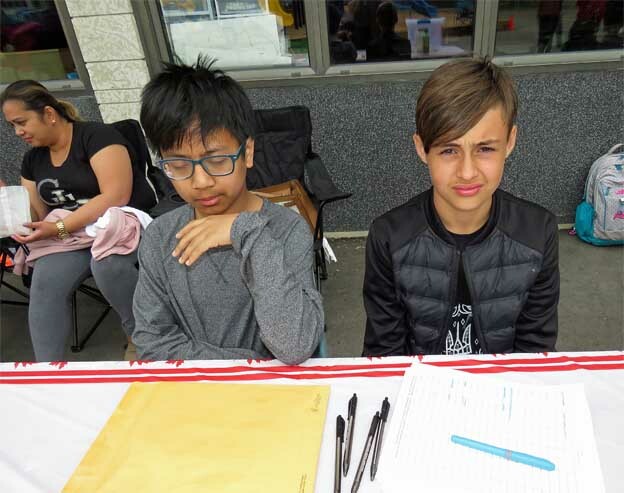 The student volunteers, who were all from grade 7 and 8, did a wonderful job in reducing the number of parent volunteers needed. 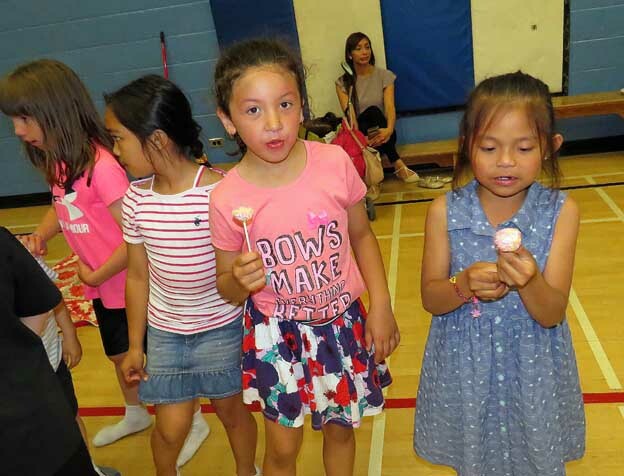 This gave more parents the chance to relax and spend time with their families. 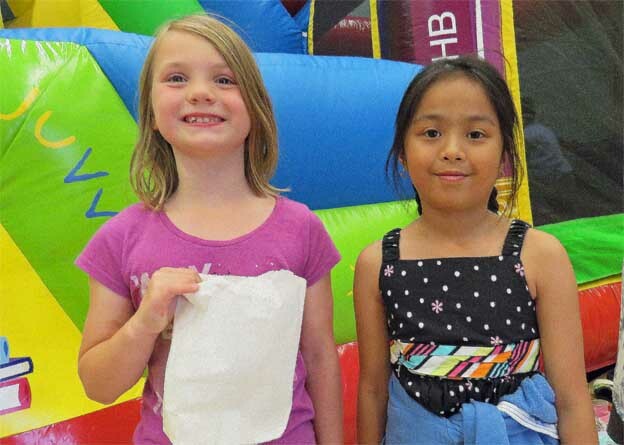 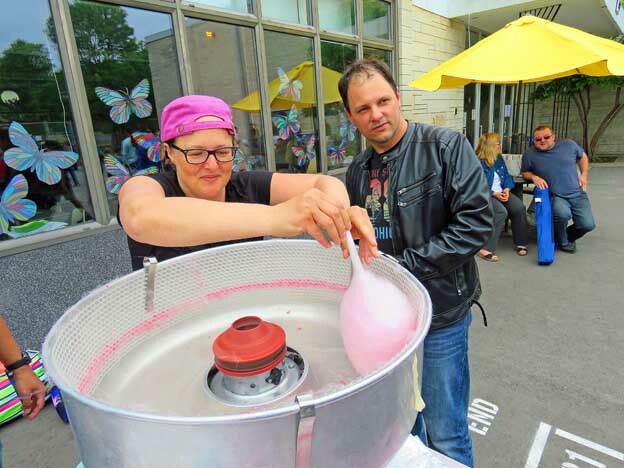 Workers were needed for the inflatable bouncer slide, the food tables, the two barbeques, the popcorn and mini donut stations, and the cotton candy machine. 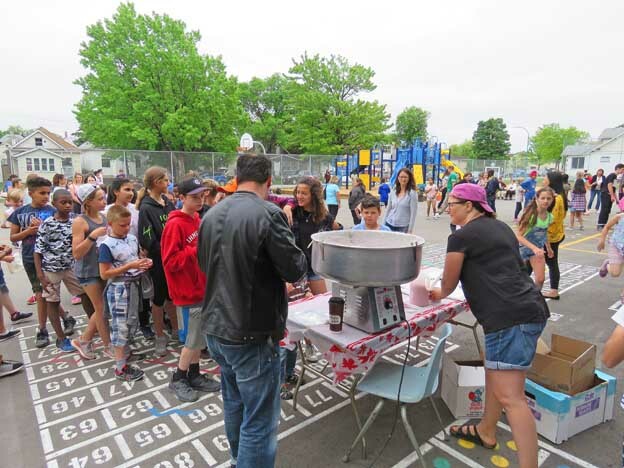 These stations also required some heavy lifting in setting up and tearing down afterwards. 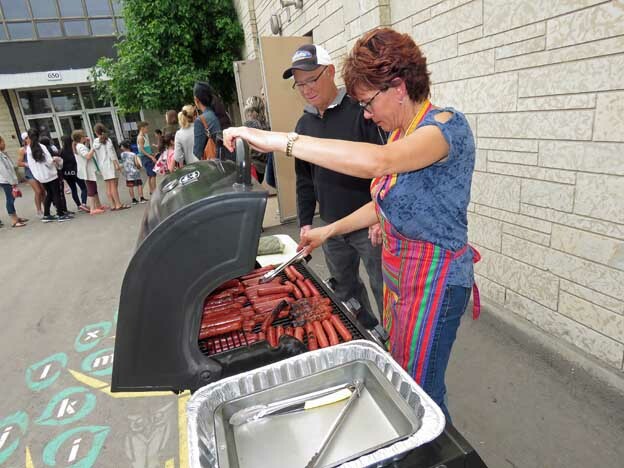 Parent volunteers were also busy working behind the scenes preparing the food and drink for the picnic. 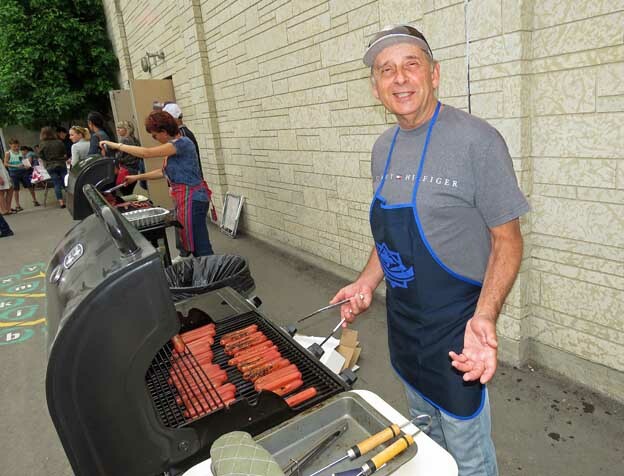 Parent volunteers grilled hotdogs on the two BBQs (top 3 photos), worked the cotton candy machine (the next 3 photos), and worked at the mini donut station (bottom 4 photos). 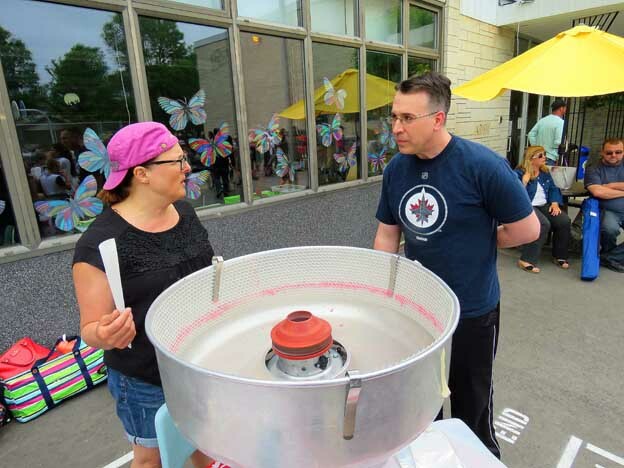 A table was set up for people to enter their name for a free raffle of donated prizes. 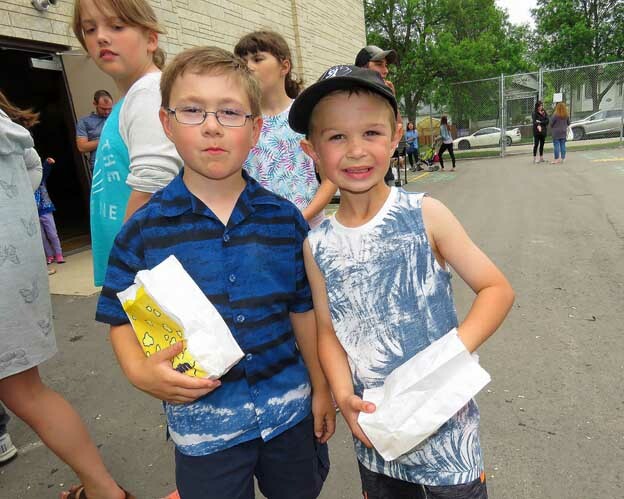 This year, there were some excellent prizes. 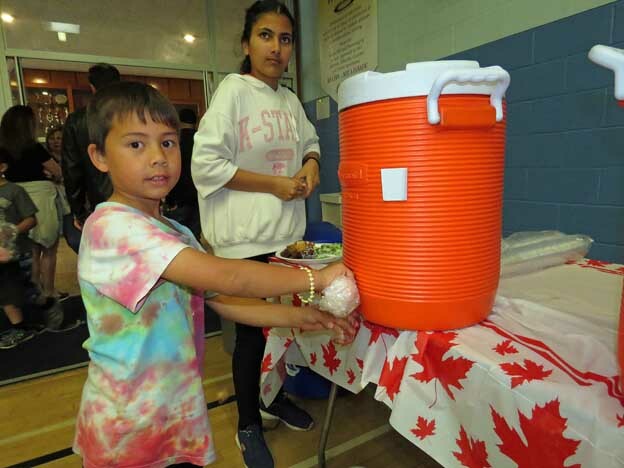 Every family attending the Picnic was eligible to enter their family’s name once. 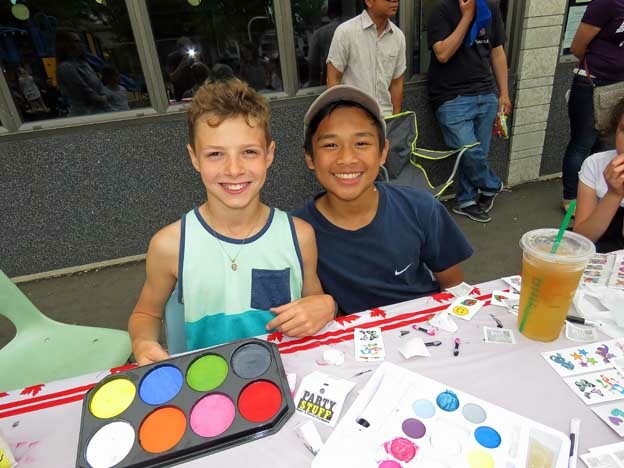 Student volunteers worked at the raffle table where families entered their names to win a door prize (top photo). 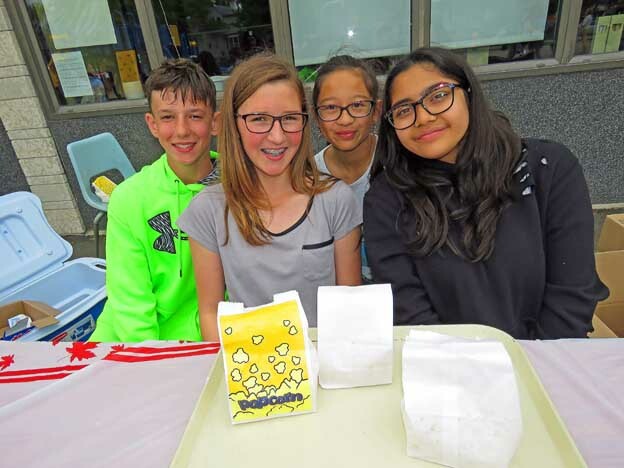 Student volunteers also passed out bags of popcorn, did face-painting, and ran various games on the grassed area of the playground (shown in the next 3 photos). 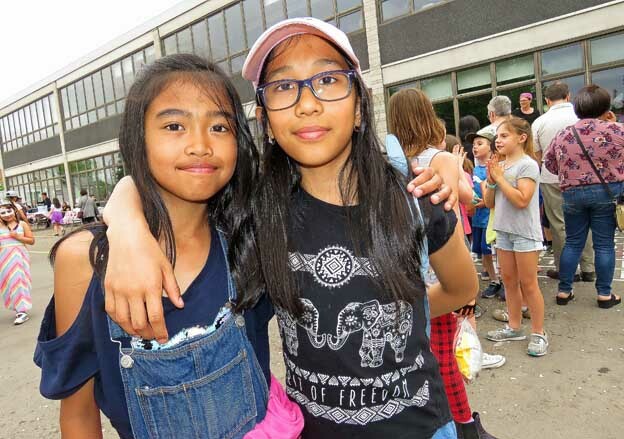 Everything about the picnic seemed to go as planned despite the dire weather forecast (it never did rain). 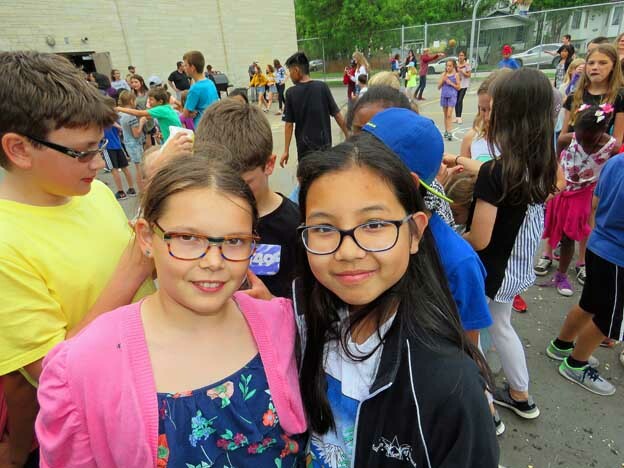 The weather turned out better than expected, and everyone seemed to have a good time! 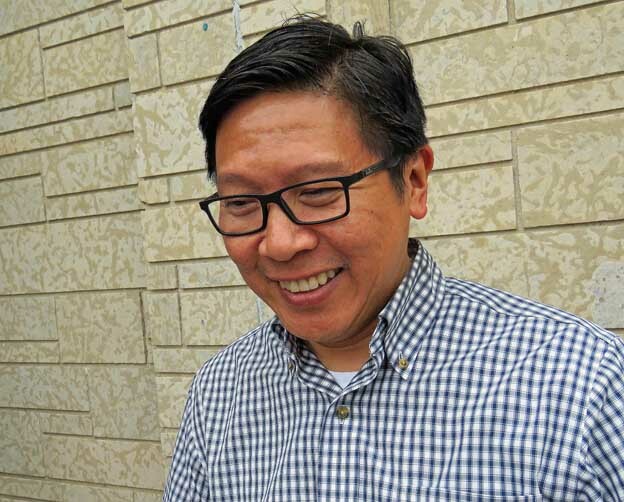 Thank you to Mr. Arnold Dumlao for organizing the entire event, and all the volunteers who made the family picnic the success that it was. 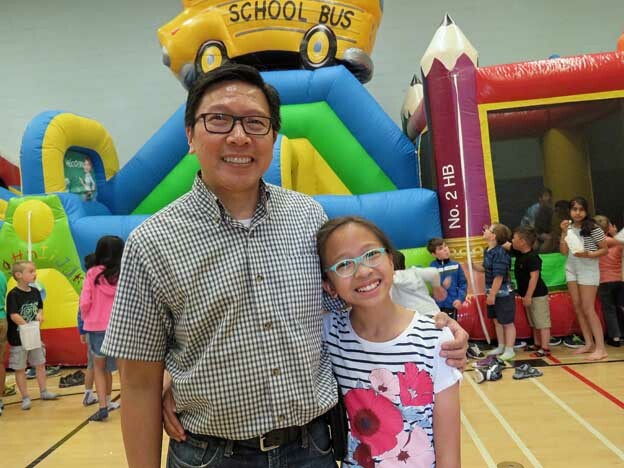 Mr. Arnold Dumlao, the organizer of this year’s Family Picnic posing in front of the inflatable bouncer with his daughter. 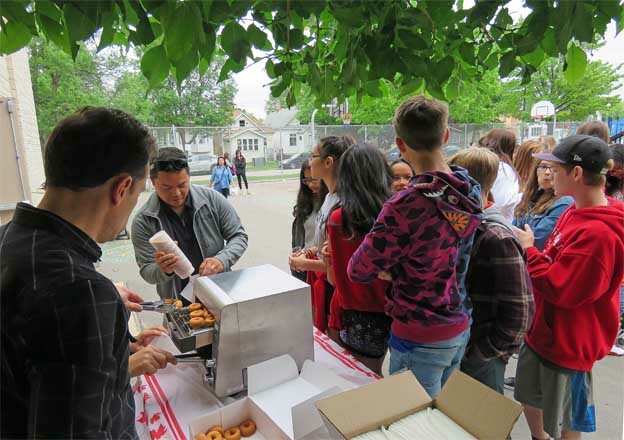 Mr. Dumlao, a valued member of the IHMS community, is also the 2017-18 Parent’s Guild president.